Like it or not, BlackBerry is not doing so well as a company and, if nothing changes soon, destined for complete failure. I am not here to suggest that BlackBerry is doomed for failure, just that they've never impressed me and have been shedding good employees for several years now. The great news here is that Yota Devices, maker of the dual-display YotaPhone, is reportedly looking to move to town and get those good people back to work. YotaPhone, as I mentioned, has two displays, one on each side. What you see in the image above is the second generation YotaPhone equipped with e-ink on one side and a 5-inch AMOLED panel on the other. In all other regards, this is a mid-range Android phone by today's standards, due to ship by the end of the year. Coincidentally, Yota Devices is reported to be on track to move their headquarters from Moscow, Russia, to either Toronto or Waterloo, Ontario by the end of the year as well. If you would like more info on the company, the phone or the move, please head over to me Android Authority post on the topic. 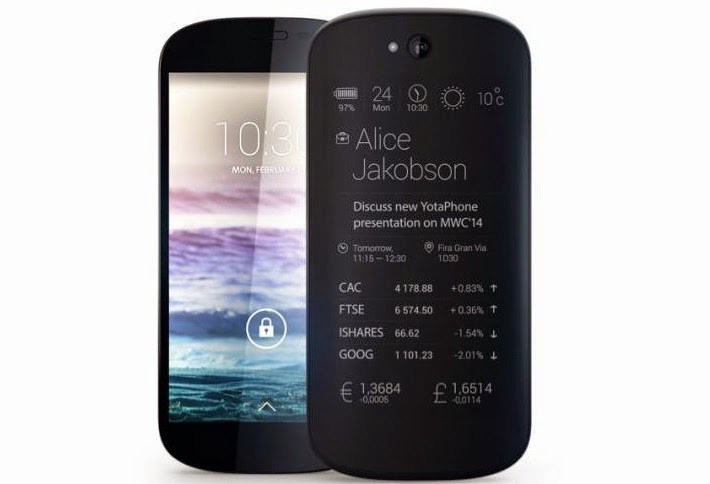 People seem to have impassioned mixed feelings on the YotaPhone. Some thing this is the best idea, well, ever, while others believe that e-ink is a fad that needs to have perished already. Truth is, the e-ink display affords amazing visibility in direct sunlight, super efficient battery consumption and is much easier on the eyes when reading lengthy articles or books. If these are characteristics that appeal to you, then you may just want to check out this device. How do you feel about having two displays on one device?